Dental surgeons and hygienists suffer from exceptionally high rates of neck, back, shoulder and joint pain, as well as stiffness and muscle tension. But while the nature of the work is wrought with difficulties, it’s possible to find relief from many of these issues. ‘Ease at Work’ is a series of practical demonstrations refined over three decades. Using a simple step by step process, you learn an easier way to work, sit, bend, stand and move — with far more freedom and ease. The class is simple, practical and incorporates Alexander Technique, Anatomy, as well as developments in Neuroscience and Motor Learning to help you come home at the end of the day feeling lighter and freer. You ever feel stiff or sore at work while bending, sitting, standing… or any activity that gives you trouble in your life. You ever worry that wear and tear, injury, pain or lack of mobility threatens your future health or even your career. You would like to learn a simple way to prevent, reduce and eliminate pain and strain, and improve how you move in work as well as in any activity. The one-day class will be focused towards the issues that you want to explore. Just bring your curiosity and an interest in learning. Learn how to prevent, reduce and eliminate strain or injury by improving how you sit, stand, and bend in work. Learn simple changes you can use right away to reduce tension and strain and increase your freedom of movement. Uncover and change the underlying causes of strain, pain or injury. “I was stressed, had back and neck pain, and I had many sick days that a struggled to get through using painkillers. I was fearful of the worst when my condition was at its worst, especially after an MRI showed I had a bulging disk in my neck. But despite my fears, I didn’t have to quit my job, or stay on painkillers for the rest of my life. Given that there are no major accidents that could have caused my pain, I figured that bad habits and posture were 90% to blame. As a former chronic pain sufferer, Andrew Monaghan loves helping people become free from pain, strain, and anything that holds them back. 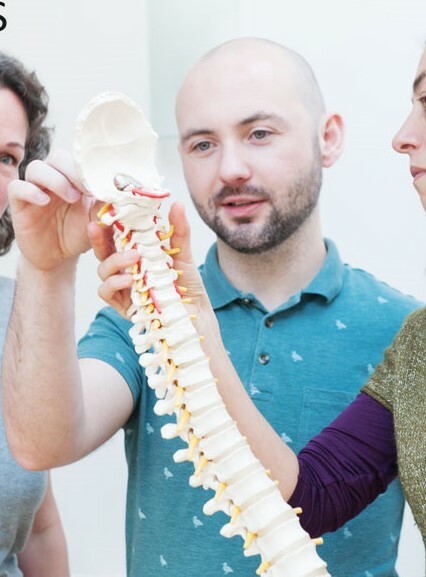 Andrew has been teaching Alexander Technique since 2009 and a senior apprentice of the functional expert and founder of “Anatomy of Wholeness”, David Gorman. Further explorations – applying what you learned to the issues you would like help with, e.g. while Sitting, Standing. If you need to cancel, please give advance notice. Because this format relies on group participation, refunds are unavailable for cancellations 5 days before the class. Please aim to arrive by 1:20pm so we can ensure everyone is ready for a 1:30pm start. Have any other thoughts or questions?